You’re all wearing matching t-shirts. There’s actually a t-shirt like this in Splatoon. That’s why we’re all wearing them today. 1. 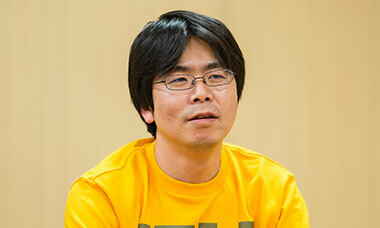 Hisashi Nogami: Production Department, Entertainment Analysis & Development Division. Producer of Splatoon. Appeared in Iwata Asks: Wii Channels 4: Aiming For Worldwide Mii Communication, Iwata Asks: Animal Crossing: Let’s Go to the City. Oh, is that so? Now, you first introduced Splatoon at last year’s E32. What was the reaction like?2. E3: Electronic Entertainment Expo. An industry event for computer and video games held every June in Los Angeles. Splatoon was presented for the first time at E3 in 2014. We had always thought that it was a really fun game, but we were happy to get an even bigger reaction than we’d expected. Why do you think it was so well received? I think it was because of how the game was easy to grasp once you start playing. Another part of it was that we revealed the game with a video. Amano-san studied filmmaking in college, so he made the announcement trailer for E3. It’s not often that a trailer is made by one of the developers. Trailers are usually made by an outside agency. We decided to make the video ourselves this time because we had a really clear vision of what we wanted to show and how we wanted to show it. I think the video gives you a good idea of the kind of game it is even without playing it. It was most important for us to show off our new squid character. 3. 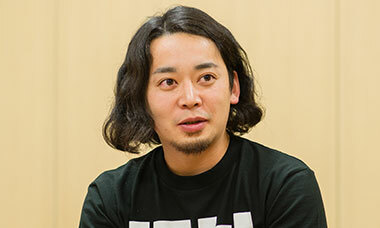 Yusuke Amano: Production Department, Entertainment Analysis & Development Division. Director of Splatoon, with Sakaguchi. Appeared in Iwata Asks: Super Mario 25th Anniversary Volume 4: Super Mario Developers 2, Iwata Asks: Star Fox 64 3D, Iwata Asks: New Super Mario Bros. 2. 4. Tsubasa Sakaguchi: Production Department, Entertainment Analysis & Development Division. Acted as Director on Splatoon, along with Amano. 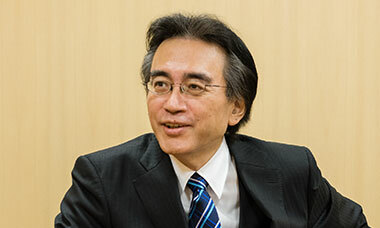 Appeared in Iwata Asks: Nintendo Land. The people reading this would probably also like us to start with the same question. You went through a lot of trial and error with this project, and ended up with squid. Let’s start off talking about that. Alright. We started this project after I finished working on the launch of Wii U.
Nogami-san, you worked on the menu for Wii U, right? Right. 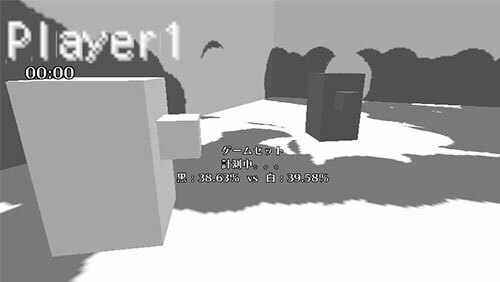 And Sakaguchi-san was involved in developing Nintendo Land5, and Sato-san… 5. Nintendo Land: A theme park game released alongside the Wii U console in November 2012 in Europe. I was developing New Super Mario Bros. U6.6. New Super Mario Bros. U: A platforming game released alongside the Wii U console in November 2012 in Europe. 7. 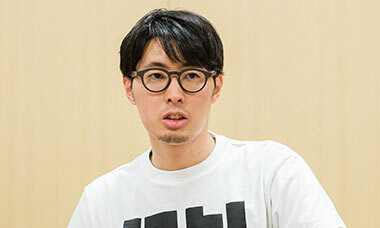 Shintaro Sato: Production Department, Entertainment Analysis & Development Division. 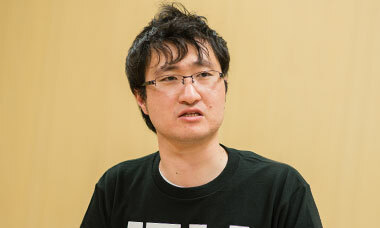 Program Director for Splatoon. So, all of the team members were involved in the launch of Wii U. Once development had settled down, I gathered them all together and began this project. I said, “Let’s make a new kind of game, without worrying about trying to fit into existing game genres.” Inoue-san was also working on the Wii U Menu, so I asked him to join the project. 8. Seita Inoue: Production Department, Entertainment Analysis & Development Division. Art Director for Splatoon. So you all got together to make a new kind of game, something that wasn’t Super Mario Bros. or The Legend of Zelda. We had at least seventy ideas. Seventy ideas? How long did it take you to think of that many? That’s a lot of ideas. We were all pretty competitive about our brainstorming. Right. Our ideas really branched out like that. So we all brainstormed ideas and gave a few presentations, and the idea that made it all the way to the end was the idea that grew into Splatoon. So I have to ask… the Entertainment Analysis & Development Division9 where you all work is responsible for a lot of Nintendo’s franchise characters, so they put a lot of work into maintaining many series. This means that there’s not often a chance to make something new.9. Entertainment Analysis & Development Division: One of Nintendo’s development divisions, headed by Shigeru Miyamoto. 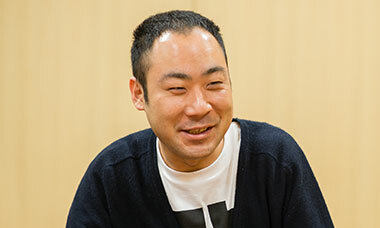 Responsible for the development of many of Nintendo’s character-driven titles such as Super Mario Bros., The Legend of Zelda, Animal Crossing and Pikmin. Of course, they made games with a new structure when the Wii console came out, but the last new character game was Pikmin10, and that was about 14 years ago. 10. Pikmin: An action strategy game series. The first game was released for Nintendo GameCube in June 2002 in Europe. Pikmin 2 was released for Nintendo GameCube in October 2004 in Europe, and Pikmin 3 was released for Wii U in July 2013 in Europe. That’s right. That was the last new character from the Entertainment Analysis & Development Division (EAD), and it was made 14 years ago. But in the beginning we weren’t trying to create a new character. We were trying to create a new game structure first and foremost. That’s right. We weren’t invested in creating a new character. We just set out to create a game with a new structure. That’s very important. The way that [Shigeru] Miyamoto-san and the EAD make games, the idea comes not from the design, but from the function. The design comes after. So you don’t approach making a game because you want to use a certain character. 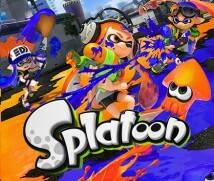 So what was the idea that became the basis for Splatoon? Yes. (laughs) There was a white thing and a black thing shaped like blocks of tofu, and they were shooting ink and they had to steal each other’s turf. But tofu is usually white. So the basis of Splatoon was a fight between a block of sesame tofu and a block of firm tofu.